Here's how you are going to create the email version for your paypal payment code using a standard account. 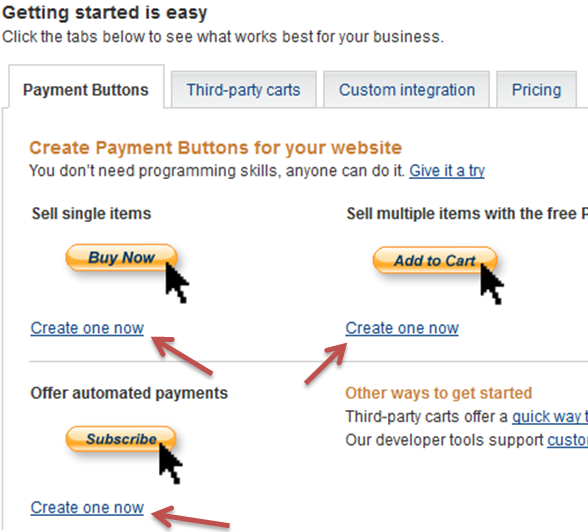 The second tutorial is using a business account while logout from your paypal account. 1. To create your paypal payment link, log in to your account and click Merchant Services. On the left click the Websites Payments Standard. 2. Click Create one Now button below the type of button you wanted to create. 3. Fill out the information needed. If you don't want to display credit card logos, simply check the box of the "Use Smaller Button". 4. 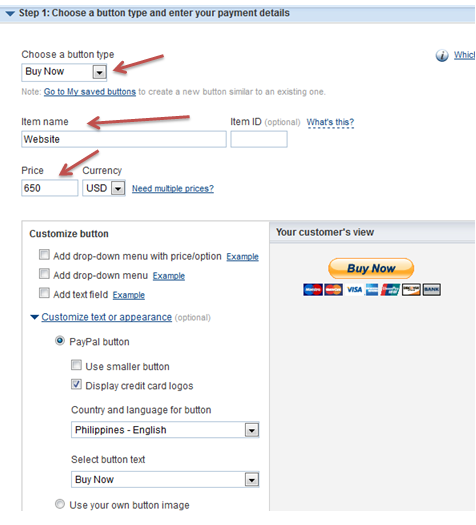 After you are done and ready to create your button simply click the "Create Button"
Note: If you are going to create different buttons with different prices, we strongly advice you to paste your paypal button codes in a notepad so you won't be searching for it. Fill in the form with the required information (Item Name, Price, currency and paypal email address where you will receive payments). Once you have filled out the form, click the Create Button. Choose the Email version of your paypal code then click the Select Code. The code inside the box will be highlighted. Click "Ctrl + C" to copy the code. You will notice the code is longer than the code created from a standard paypal account. Now go to your admin site > Appearance > Page Builder > choose the template you would like to add the paypal code. In this tutorial we are going to put the paypal code in the Portfolio template. Expand the Snapshot blocks by clicking the down arrow. Replace the highlighted default paypal code with the code you have created. Once you are done, click the Save Template button to save your changes.